Humming Bird II by Dave White. Courtesy Art Republic. 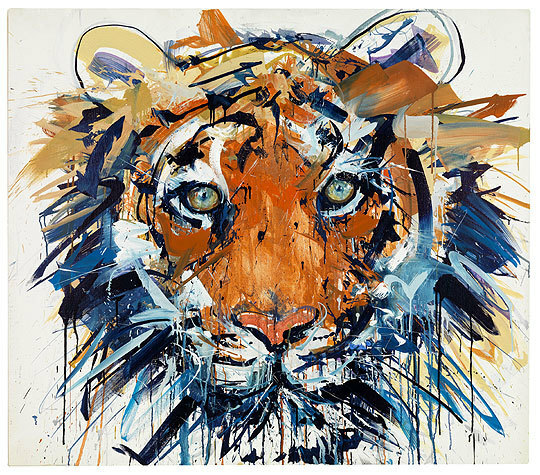 Tiger by Dave White. Courtesy Art Republic. 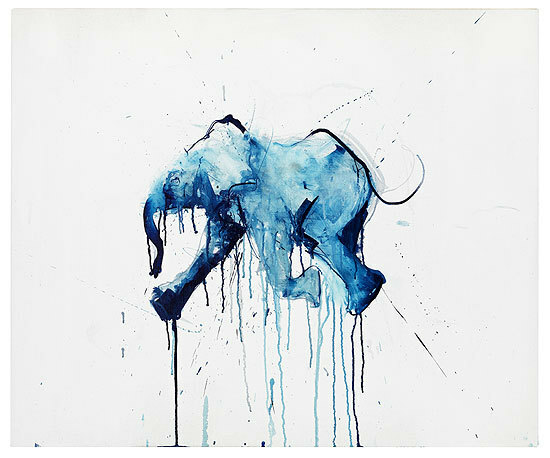 Baby Elephant by Dave White. Courtesy Art Republic. Amazonian Parrot by Dave White. Courtesy Art Republic. Dave White is an artist whose expressive and energetic style is reminiscent of Jackson Pollock. But although he uses a similar technique, White is interested in creating representational, rather than abstract, paintings. White has had success in commercial campaigns but his latest exhibition shifts his focus to animal art. So how does he compare to the other artists operating in this heavily saturated market? His expressive style is perfect for capturing the essence of movement whether it be a hovering hummingbird or a growling tiger. But to prove that his technique is not limiting he also does an excellent job of presenting both a contemplative gorilla and orang-utan. The use of energetic brushstrokes is ideal for representing wildlife and it begs the question why there aren't many more animal artists appropriating this technique. The slatherings of paint provide an extra depth to his work and the fact that some of the paint has dribbled down the canvas imbues the pieces with a spontaneity that captures the subject as it would appear in that split second. 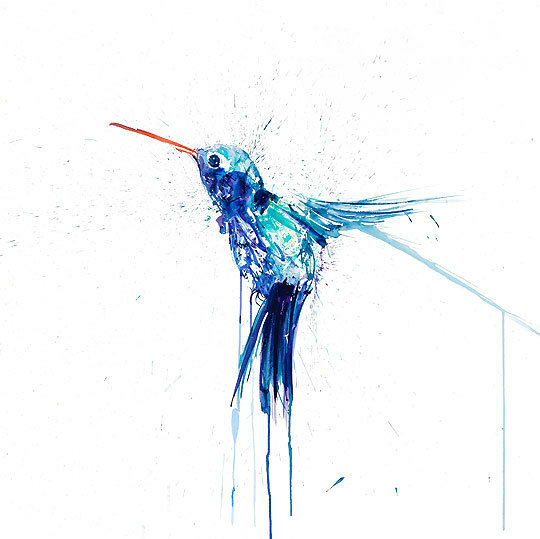 Dave White is an artist whose technique was made for animal art and he makes his mark in a crowded market. 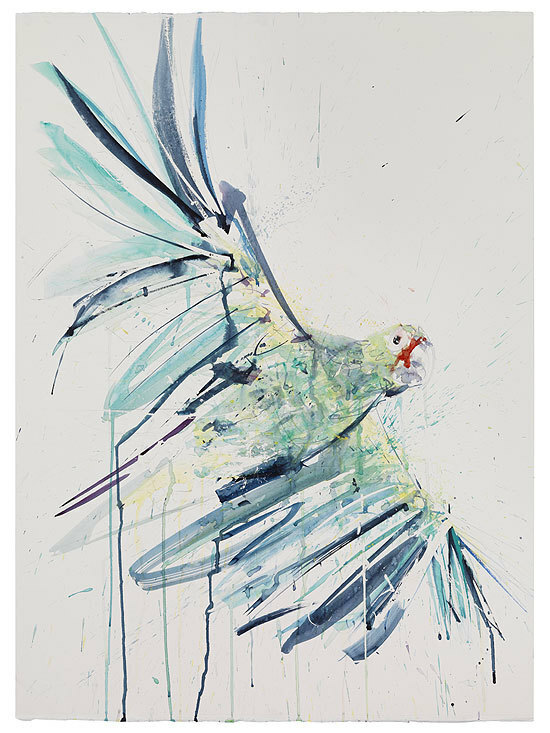 Natural Selection: An exhibition by Dave White is on display at The Hospital Club until 7 July. Admission is free.